Truthfully I never really saw this pregnancy coming. Of course there was a chance of it because I wasn't on birth control but after struggling with having Connor and three miscarriages then yet another miscarriage only a few months before, I was still shocked to find the test turn positive. Of course I also wasn't shocked because I know the early pregnancy symptoms for me and I knew before I even took a test that I was pregnant again. I was probably more shocked that it stuck. The first few weeks was just holding our breaths basically. 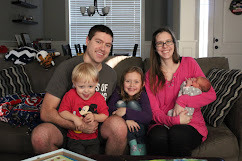 When we ended up at the fertility clinic with Connor, I was diagnosed with PCOS. After learning more about what it was, it all made sense to me - all those things that I have been dealing with my entire life were suddenly explained so easily. I had a hormonal disorder - for the simplest explanation - and now it was keeping me from getting pregnant. But it wasn't really all of the picture because I could get pregnant. I just couldn't stay that way. One of the first nurses I talked to was telling me about PCOS and how most women with PCOS can't get pregnant naturally. She was said was it was rare for me to be able to get pregnant so easily and was even more shocked to learn that I already had a kid and one that was conceived naturally after only two months of trying. My miscarriages were never really explained. The closest answer we got was a chromosome issue or that I was producing bad eggs because I was ovulating so late. I had one nurse tell me that it was likely a chromosome issue since I did miscarry my first cycle on medication then tell me that any child I conceived unless it was through IVF would have birth defects. By the way that's a terrible thing to tell to someone in general but especially during the same phone call that you inform her that she is going to miscarry again. Of course I didn't miscarry again and I had a very healthy and active baby boy. But we had always talked about having three kids. But honestly I didn't believe it was going to happen but I went of birth control anyway. I think part of it was because I was making changes and I wanted to see if I was making a difference in my PCOS symptoms. And of course then if we got pregnant then we got pregnant but if not then that was that too. It only took a few month before we did get pregnant. It was a bit of a shock truthfully. I never imagined that I would get pregnant again. I felt like maybe some of the choices I was making was making a difference that that's what got us here. But it turned out that we were on the same course was before and I miscarried. It was the longest miscarriage cycle I had ever had. I bled for over two weeks and I had to go back to get an ultrasound twice to make sure the tissue was all gone. It felt like I was never going to get to move on. And I had no idea what was going to happen next with my cycle. I was continuing with all the changes I had made in hopes to help my PCOS but it was anyone's guess to what would happen. Much to my surprise after I finally stopped bleeding I had a week and a half before my period came and things seemed to return to normal. Then much to my surprise I ovulated on cycle day 14 (I took my temperature each morning to track) for the first time since I got pregnant with Addison about six years before. I didn't want to hold out hope that this was a good sign but suddenly I was pregnant and my hormone levels were coming back very encouraging. 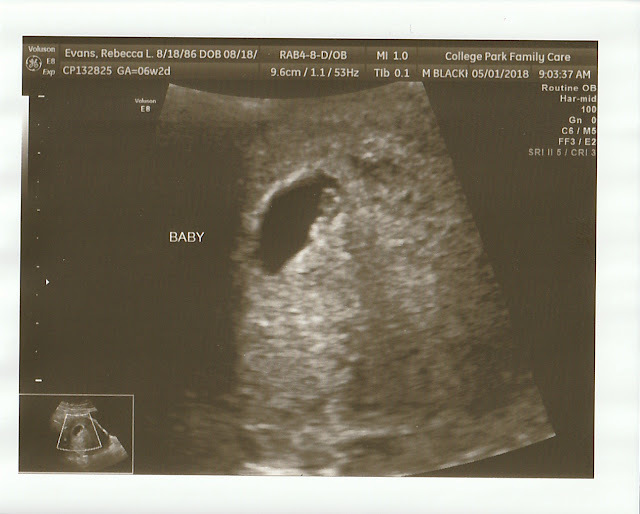 I was a nervous wreck leading up to my first ultrasound but everything looked good including seeing a little heartbeat pumping nice and strong. After seeing the heartbeat my chance of miscarriage went way down but I still felt like I was holding my breath the entire first trimester. At 12 weeks I went back in for a regular OB appointment and was definitely nervous. She wasted no time before finding the heartbeat which again was good and strong. Then I blinked and I was out of the first trimester. I still have moments of anxiety that this is too good to be true. Of course I am reminded that that isn't the case when I started feeling round ligament pain or look in the mirror and see a small belly growing. But it was definitely all a surprise. We feel lucky to have the two we already have especially after the fight we went through to get Connor and the unlikely chance we had of ever conceiving Addison. We will never have an answer to what went wrong those four times before but we know that we are lucky. We know this one, just like the other two, is a fighter and going to be just as amazing.